Tourism in Corfu is very developed and ideal for all kind of vacationers, from families with kids and romantic couples to young crowds who fancy active nightlife. The famous green island is blessed with idyllic scenery created by the coves, endless beaches, verdant hills and forests. 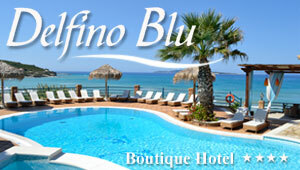 Among them are the gorgeous settlements of Corfu which are highly preferred by the tourists for the summer vacation. Corfu is also the birthplace of many renowned personalities of the arts and letters as well as politics. Over the last years, Corfu tourism is developing in terms of agriculture. A tourism office is available in Corfu Town where tourists can collect all the information about the island and their Corfu vacation. Locals will help you as well. There is also a tourist police in the main town, offering immediate assistance to tourists.